Presidential Spokesman, Mr Femi Adesina, says President Muhammadu Buhari is presently in a better state of health than in 2015, to seek re-election in the 2019 general elections. Adesina said this while speaking with State House correspondents in Abuja on Sunday. He said though the president was yet to decide on whether to re-contest or not, his health would never be an issue as he had been improving tremendously since his return from medical vacation. Buhari left Nigeria on May 7, for the second round of his medical treatment in London, and returned to Abuja on Aug. 19, 2017 after a successful medical vacation. The presidential aide said: “yes, health is wealth. The president is not a frivolous person. If he thinks that his health cannot carry anything, he will not do it. “So, of course, his health will matter a lot. It will be very important but we need to give glory to God for the way he is now. “Every day you see the president, you see a glow about him, you see freshness about him. I think he’s even in a better state than when he came in 2015. It’s all to the glory of God. Adesina maintained that the Buhari-led administration would continue to ensure the conduct of acceptable elections in the country as the president had vowed to bequeath free and fair elections in Nigeria. He cited recently conducted elections across the country where the ruling party, All Progressives Congress (APC) participated but failed to win. “It was not like that in the past when a certain party was in power. They won all the elections that held in states. “But you saw Anambra. Just this weekend, you saw a senatorial election there. Some months ago in November, you saw the governorship election. “If APC had wanted to overrun Anambra using federal might, it would have done that and it would win the election. “Election was held in Bayelsa under this administration, APC didn’t do it. Ondo, APC won fair and square. Kogi, it won fair and square. 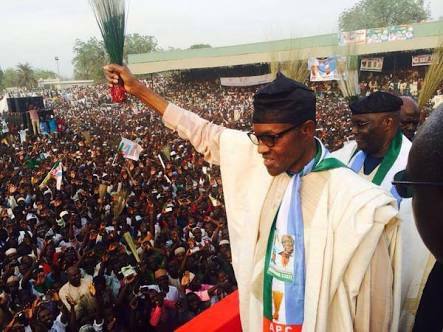 Where APC wins, it wins. Where it loses, it loses. “That’s the attitude of the president. Your party doesn’t have to win by hook or crook,’’ he added. On social media report that the Minister of Transportation, Rotimi Amaechi had been appointed as Director-General for President Buhari’s campaign organisation, the presidential aide described such report as mere rumour. He said the president had not decided to run for re-election as the whistle had not been blown for such activities by the Independent National Electoral Commission (INEC). He said: “well, me I believe that things like Director-General will come when you have become a candidate. If the president steps into the fray now, he’s an aspirant just like any other aspirant. On whether Buhari will embrace the Nelson Mandela option of four-year single term, Adesina said it was the constitutional right of the President to run or not to run. “Of course, this is a democracy. People will always have a right to their opinion. You know one thing about democracy is that there is multiplicity of opinion. “So, those who believe in the Mandela option, it is their right. And it is also the right of the president to run or not to run. So, you don’t abridge the right of anybody under a democracy.